There are a bunch of motoring journalists sitting around a table at the Hilton in Munich. The discussion hovers around the new Audi A3, which we've just driven the day before. Good engine, value proposition, lovely drivetrain, smooth ride, cramped interiors, spectacular instrument console, sharper dynamics and lots of adjectives are flying around a table. The discussion largely veers towards the diesel-versus-petrol dilemma and what variant Audi ought to offer to Indian consumers. 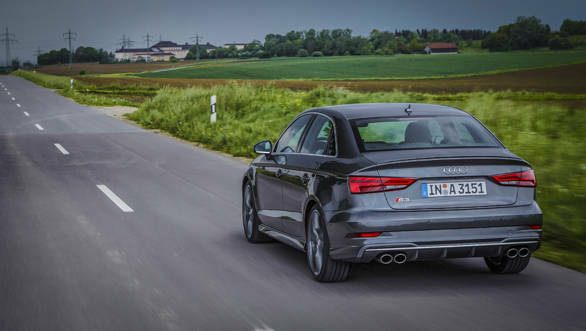 Opinion is divided widely and voiced loudly in some cases, except when the discussion trails off towards the Audi S3. Then there is a sort of muted, unanimous, unquestioned understanding that if Audi were to offer one variant of the A3 in India, it should be the S3, the others be damned! So what makes the S3 that special? Well to begin with I suspect it will be the price. Audi India could, if needed, price the S3 well under Rs 50 lakh and that could put it in a very sweet spot and make it one of the most affordable sportscars in India today. And I mean this with all the accessories and add-ons thrown in. But what do you get for that price? First off, it's not just a cosmetically enhanced A3; it's substantially more than just a nose, lip and b..b job! 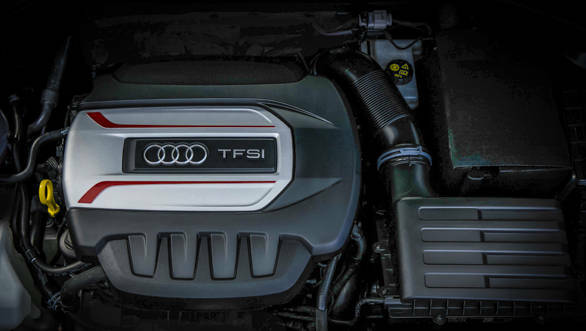 Under the S3's hood lies the same 4-cylinder 2.0-litre TFSI (turbo direct injection) motor used in the standard petrol A3, but that's now tweaked to deliver 310 horses and with the S-tronic 7-speed automatic transmission, torque is raised to 400Nm. That sort of power has been eked out after a lot of lightening, as well as dual injection systems, tuned exhausts, an Audi valvelift system and a rotary valve for thermal management. It's all plumbed tightly and very neatly in the compact engine, but thanks to this being a 4-cylinder engine, packaging is a relatively simple job. Performance of course is the big talking point and the S3 while certainly not in the league of an RS version, which would be the full-blown performance version, is still nonetheless shatteringly impressive. 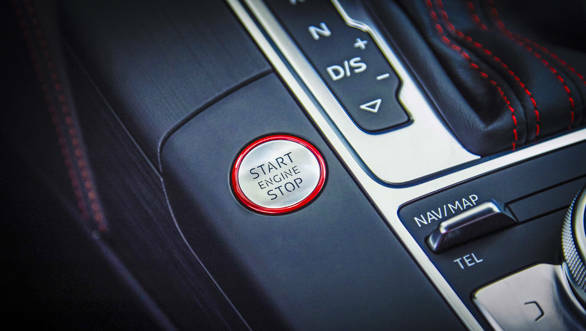 The drive by wire throttle is quick to relay inputs to the ECU, which very quickly manages the jobs of delivering torque to all four wheels. So when you depress the accelerator pedal completely, it shoots out from standstill with a burst of speed that is as vicious as it is controlled. It arrives at a 100kmph in a superb 4.6 seconds while top speed is limited to 250 kmph. On unrestricted sections of the Autobhan, 200kmph and higher speeds come up very quickly. There are quite a few things in the S3 to find endearing. Its power and the linearity of that feed is incredible. Alongside that it has got a nice soundtrack, when you can hear it. The thing is it sounds nicer on the outside than inside, a fact I discovered when tailing another journo giving the S3 the beans. It's also brilliantly disposed with a cultured and secure ride even when you're giving it the beans. There is always a sense of urgency, but it never feels frail or overexcited. 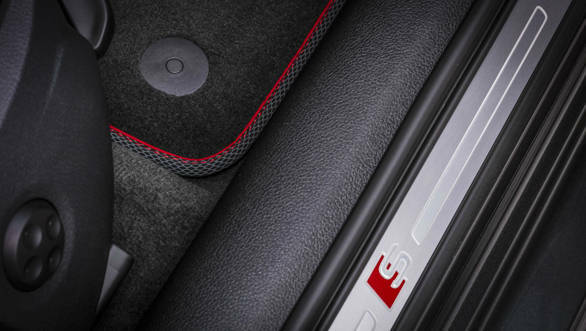 In that sense the S3, the smallest of Audi's performance sedans, is a very mature sedan. That maturity in the past has also been its undoing, but I do like the sense of grown-up confidence it has to offer. With a stiffer suspension set-up, the S3 rides 25mm lower and a little harder than the conventional A3. 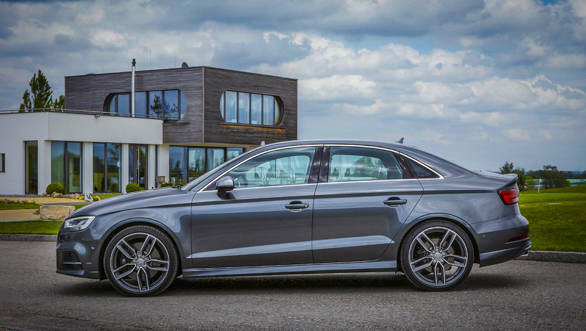 The lower ride height reduces drag and makes the S3 a bit more slippery with a front and rear air dam working the aerodynamic effects around this car. The narrow footprint also helps place it precisely where you want, while the torque going to all four wheels when needed gives it that slightly better sense of balance and control. 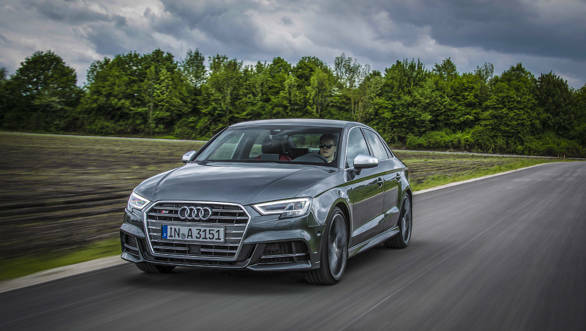 In most driving conditions, the S3 drivetrain delivers power to the front wheels, but when needed can push a 100 per cent of it to the rear also. 18-inch wheels are standard as are the ventilated discs all around with a dual-circuit braking system that brings on the stopping power. EPAS is standard, but here in Europe there are a raft of new technologies, especially lane assist helping keep the car in its lane throughout. It's a bit eerie to see the steering wheel turn around a corner by itself, as long as it has lane marking on the road on both sides, without the driver having to touch the wheel. The electronic stability programme has also been honed to provide a slightly wider and more secure safety blanket. On the outside, the only differentiating points between the standard A3 and the S3 are the slight tweaks to the front bumper and the rear details changes apart from the S3 badge on the front grille. 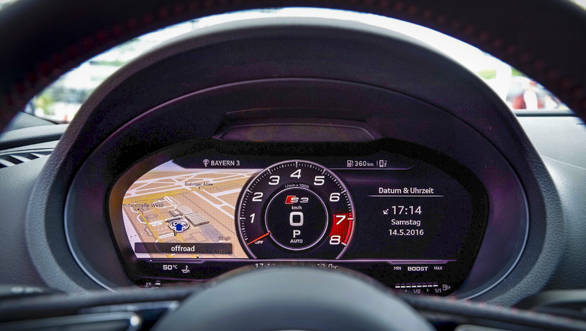 Inside the S3 gets more jewellery, but a lot of that is optional equipment, though the painted air-con bezels and the flat-bottomed steering wheel are a nice touch. The one neat feature is the unique instrument console face exclusive to the S3. The virtual cockpit effect uses a single speedometer occupying prime space on the instrument binnacle. You could still change the view to the larger map view for navigation but the single speedo is way cooler! Overall then the Audi S3 is a stunning car, one that could easily give the BMW M2 and the CLA45 AMG a run for their money. At a reasonably low sticker price, this could undoubtedly be a strong selling proposition for those looking at a little practicality packaged with loads of fun. And even though it flies a bit under the radar, no thanks to its understated styling and lack of OTT sporty detailing. It's a bargain first step for those wanting to step into the world of performance sedans!